A voltage divider is a circuit that divides a voltage between two resistors. It’s extremely useful to know! If you know how the voltage divider works you can easily make sensor circuits or calculate values in a more complex circuit. 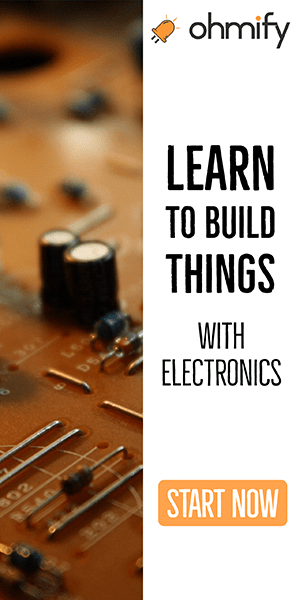 I have to admit that I have made more use of my practical experience with building circuits that I have from the electronics theory I learned at the university. But this formula is one of the few electronics formulas I actually use on a regular basis. I recommend you to memorize this formula. Now, let’s say R1 and R2 has the same value. The voltage divider is useful in many situations. You can use the voltage divider formula to simplify complex circuits as in Thevenin’s Theorem. A more practical application example of the voltage divider is measuring. Replace R2 with a resistive sensor. For example a resistive photo cell. Then the output voltage will vary according to the light in the room. You can then feed this output voltage into an analog pin of an Arduino or a microcontroller and do cool stuff with it. Maybe turn on a light if the photocell indicates that it’s dark? If you would like to dig deeper, you can read more about the voltage divider on Wikipedia. Well, I subscribed, and I enjoy the info attached to the emails, but where is the book??????? You should have received a link right after signing up. If you can’t find it, just reply to one of my emails and I’ll send you the link again. thanks for every thing , like learning. I have been wondering about the book that was meant to be sent to me. Given that I live in south africa, was wondering if it got lost in the post. Thank you I like what u are teaching! U are definetly out there! Your emails are very useful and those inspired me to making circuits. Great article: simple and right to the point. 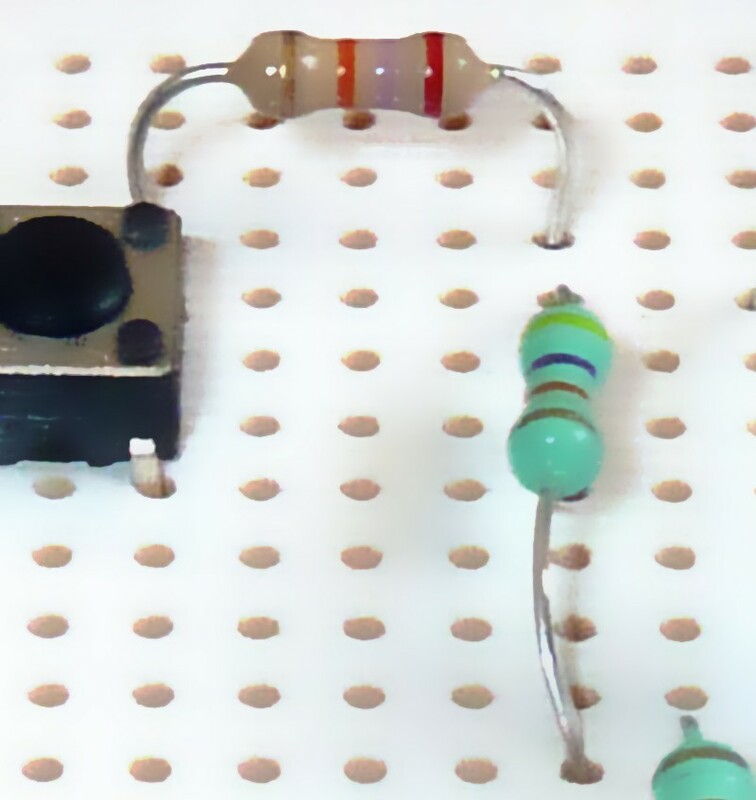 Yes, you can use two resistors two go from 5V to 3.3V. But there are some things you need to keep in mind. Let’s say you put a resistor in parallel with R2, with the same value as R2. The resulting resistance of the parallel connection will be only half the value of R2. And this will reduce the output voltage from the voltage divider. 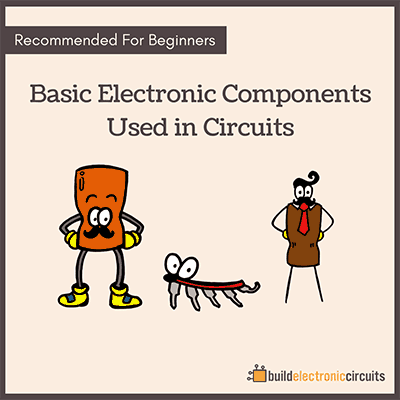 You might be tempted to think that you can just use extremely small resistors for R1 and R2. But the problem with this is that then you would need extremely high precision on your resistors to get the right voltage. Basically it all comes down to the circuit you want to power. So I recommend you to test it out and observe what happens. It might work. It might be too unstable. THANKS FOR YOUR TEACHING. THEY ARE SO WELL PUT. THAT IS A GIFT. THEY ARE ENJOYABLE ALSO. COULD YOU SEND ME THE LINK TO YOUR EBOOK I AM ALSO FROM SOUTH AFRICA. You get the link automatically when you confirm your newsletter subscription. If you can’t find it, reply to your welcome email and I’ll help you. My name is Jason, I’m from England & asked for an Arduino for Christmas. I’ve been going through the starter kit guide. I understand all the code, logic and what the components do, but the explanations in how the schematics work together is limited. I have been trying to figure out why a resistive photo cell needs to use a voltage divider when it is already a resistor. But after watching and reading the info on your site I think I have it. 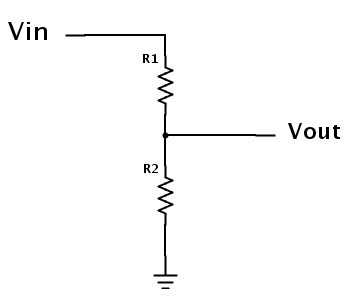 A resistor by itself just limits the current, whereas a voltage divider lowers the voltage. This is more useful as the arduino main thing is reading voltage levels. Is this right or am I still missing so information? The Arduino reads voltage level, so we need a voltage divider to convert the changing resistance of the LDR into changing a voltage level. i am mahfuj and i am from Bangladesh. i want to design a 7 segment binary decoder for my class project what are the elements needed for the project. Can I ask u one doublt….it is very well told that the voltage divider circuit cannot be used for connecting any load. Then what is the real use of dividing voltage since the current is same throughout the circuit. Please forgive me if the question is a blunder. Can u please include a bit of stuff relating to the transformers. Am seeing 3 pin, 4pin, etc transformers, making a lot of confusions, some of which having 6 to 8 pins soldered to the board. You don’t use a voltage divider as a power source. 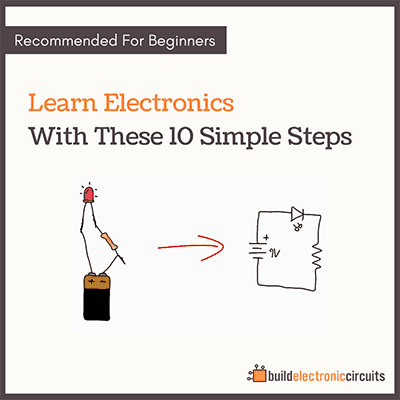 Because once you introduce more resistors – like a load – then the voltage will change. For transformers – look up the datasheet to sort out the pins. I have a power source (12V Battery), but the rating can vary 5 AH / 7 AH / 9 AH. The device to be used needs to provided with 12 V (DC) and would like to limit the current to 3 amps or 4 amps for experimentation to understand the outcome at various power levels. Can you suggest me how to limit the current using resistors. The battery rating you refer to only tells you the capacity of the battery. 5AH means the battery *could* give 5A for 1 hour. Or 1A for 5 hours. To control the current with a resistance is easy – just use ohm’s law. Just connect the voltage source to the 12 ohm resistor, and you’ll have 1A running through it. If you’re connected some device, the device itself will control the current as long as you provide the correct voltage. I want to ask. Does it mean it will drain the batteries of my radio fast, because isn’t it kind of short circuiting the input volume to ground?. Combine two of them into one. The total resistance of two resistors in series is the sum of the two.